[아시아엔=최정아 기자] 부유 마하르잔(89) 할아버지는 대지진이 일어난 25일 당시 발코니에서 마늘을 손질하고 있었다. 하지만 갑자기 건물이 큰 소리를 내며 흔들려 방으로 대피했다. 마하르잔은 1934년 6살 때 8.4강도의 지진을 이미 한차례 겪은 적 있다. 하지만 그는 “이번 지진이 81년 전 지진보다 훨씬 오랫동안 지속돼 더 무서웠다”며 “지진이 일어나자 한발짝도 움직일 수 없었다”고 말했다. 마하르잔 가족은 지진 당일 건물 밖에서 잠을 청할 수 밖에 없었다. 1934년 대지진 당시 12살이었던 아웨일 할머니는 “이번 지진을 꽤 즐겼다”며 “차를 타는 것 같았다”고 웃으며 말했다. 지진 당시 아웨일은 파탄의 가네쉬 사원에서 손주들을 돌보고 있었다. 지진이 시작되자 그녀는 손주들을 데리고 안전한 곳으로 대피했다. 아웨일은 “이번 지진은 ‘데자뷰’ 같다. 그래도 12살에 겪었던 1934년 대지진보단 무섭지 않았다”고 말했다. 그녀와 달리 이번 대지진으로 밝은 모습을 잃은 어르신도 있다. 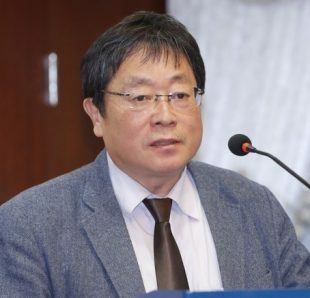 두 차례 대지진을 겪은 또다른 생존자 푸그나 랄 아웨일(91) 할아버지는 유머감각이 넘쳐 이웃들에게 항상 인기가 많았다. 하지만 지진 이후 큰 충격을 받아 말수가 적어졌다. 그는 1934년 대지진이 일어났던 그 날을 생생히 기억한다고 한다. 아웨일은 “1934년 대지진 땐 물이 분수처럼 솟구쳐 올라 가족들과 함께 도망쳤다”며 “이번 지진이 발생했을 땐 5층 테라스에 있어서 대피할 곳이 없어 위험했다”고 말했다. 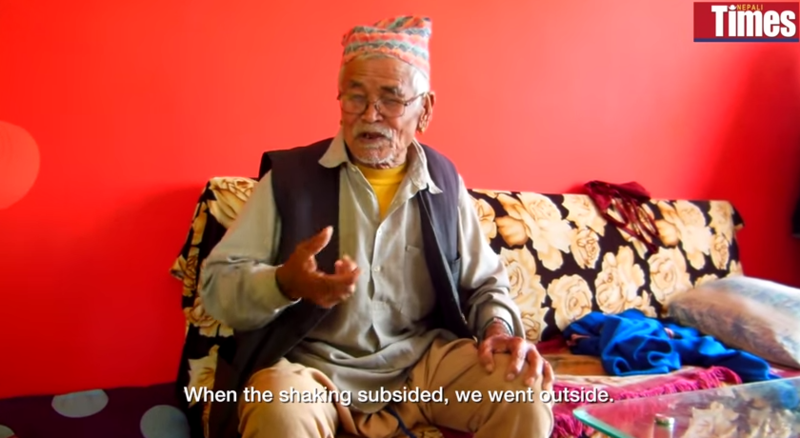 Bhuyu Maharjan, 89, was peeling garlic on his balcony on Saturday 25 April when there was a loud noise and his house in Patan started swaying violently. He grabbed the railing, and held on tight. When the tremor got milder, he went down to his daughter’s room. He was in shock, and couldn’t move. Maharjan was six years old in the 1934 earthquake. And although that one was 8.4 magnitude, he said last week’s quake was much more frightening, and lasted longer. When we interviewed him four months ago on the occasion of National Earthquake Safety Day he said he was lucky to be alive. Maharjan and his family spent the night in an open space near his house and next day moved to his son’s house on the Ring Road. But even there, the continuous aftershocks and the panic of the neighbours scared him more than the earthquake 81 years ago as he spent two nights out in the open in the rain. “There is no one at my house in Patan but I’m scared to go there. What if another big one comes?” he says in shaky voice. Unlike Maharjan, Chirmai Awale who was just 12 when she survived the 1934 earthquake, says she quite enjoyed this one. “It was like riding in a car,” she said, laughing, while she was in a shelter in the royal garden behind the Patan Darbar. Awale was playing with her siblings near a Ganesh Temple in Patan while their parents were away. When the quake struck, a passerby covered them in a shawl and carried them to safety while houses collapsed nearby. She recalls that a mighty cloud of dust rose into the air and it went dark. Four days later, she was married. For Awale, there was a sense of d?j? vu, as if she has seen it all before which made her less frightened. However, she did get nightmares when she returned to her home where she would imagine another aftershock. Purna Lal Awale, 91, is known as a playful person in the neighbourhood, always joking, and teasing people around him. Last week’s earthquake, however, was a shocking experience and he still hasn’t got over it. He looked tired and somber, was not his usual jocular self. In 1934 Awale was working at a brick kiln in Koteswor when the ground started shaking, and remembers seeing fountains of water gushing out of the fields as he ran home to his family. “I wasn’t frightened then, and I wasn’t frightened this time,” he said in a soft voice, “I was on the fifth floor terrace when it started shaking, I just sat on the steps quietly, and held on to the bannister. We didn’t go out because there is no place to run.” From his demeanour, it is clear the experience this time has shaken him. That evening, Awale and his wife, Dhanmaya went to a neighbourhood shelter where they stayed for three days. Dhanmaya who was born one month after the 1934 quake, is feisty and looks younger than her 81 years. She has a bruise in her right eye from jostling for sleeping space for herself and her husband when it started raining in the shelter.